On October 20th, Dodge Data and Analytics released their annual forecast for the construction industry, predicting modest growth for a number of project types including single family housing, commercial buildings, institutional facilities, and public works. The need for multifamily housing is slated to hit a plateau, while demand for electric utilities and gas plants is expected to decline. Single family housing will jump by 12% in terms of dollars with a 9% increase in units to 795,000 based on improved access to home mortgages and anticipated demand from older members of the millennial generation. Multifamily housing will be stagnant in dollars and down 2% in units to 435,000. Growth in this project type during 2015 appears to have been driven by greater demand in the New York City metropolitan area which has since subsided. Commercial construction will rise 6% in 2017 after an estimated 12% bump in 2016. These gains will be powered mainly by office, retail store, and warehouse constructions while demand for hotel projects will begin to fall after a very strong 2016. Institutional building is projected to surge 10% after only moderate improvement in 2015 and 2016. An increase in K–12 school construction driven by the passage of several school construction bond measures will be a chief contributor to this expansion, as well as additional growth in the amusement category and the need for more transportation terminals. A 6% increase is expected for the manufacturing sector following steep drops in 2015 and 2016 due to delays/cancellations in a number of large petrochemical plant starts. 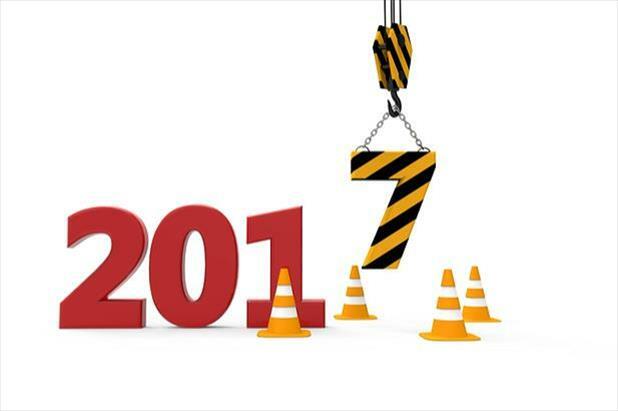 Public works projects are expected to recover from a poor showing in 2016, rising by 6% in light of recently passed legislation including the new federal transportation bill and expected passage of the Water Resources Development Act. Following a 26% decline in 2016, electric utilities and gas plants are anticipated to slide another 29% in 2017 due to a decrease in power plant construction. If you’re looking for work in any of the sectors listed above, go to iHireConstruction to review current openings and find the opportunity that’s right for you!